Comet Industries 220315-C Belt. 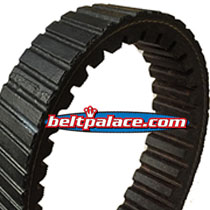 Replacement belt for Ulitmax MD112 CVT clutch belt. 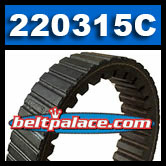 COMET 220315C, Comet Industries CVT belt. Comet Industries 220315-C Belt. Replacement belt for Ulitmax MD112 CVT clutch belt. This kevlar reinforced Go Kart torque converter belt measures 1-3/16” Inch Width, 46.5 Inch Length OC. Symmetric Cogged belt. For use with Comet/Salsbury CVT systems. This Drive Belt is a common Go Cart belt, Golf Cart clutch belt, Mini Baja Competition clutch belt, and UTV drive belt. Comet 301195 Belt. CVT Drive Belt for Comet, Salsbury Clutches. Genuine COMET Belt made in USA. Replaces: Comet 301195A, Comet 301195C, Comet 301195DF, American Sportworks Bull Dog UTV/ATV Belt PRE-CVTECH SETUP!